I went to see the movie ‘The Life Of Pi’ the other night. A powerful story that is layered with many meanings – physical, emotional, mental & spiritual. Following a shipwreck the only survivors are Pi Patel, a 16-year old boy, and a tiger. They end up - just the two of them - in a lifeboat drifting across the Pacific Ocean and in the course of the journey the boy trains the tiger to give him his space on the boat. They even develop a connection with each other and when they are on the verge of death the tiger’s head is resting on Pi’s lap. They survive. The boat drifts onto a beach where the boy collapses and the tiger simply walks away straight ahead into the jungle - out of the boy’s life forever. What hurt Pi was that the tiger left him without even looking back and in his desolation the boy is expressing something that is essential in every human life – that we be noticed, acknowledged by another, that we matter. Not so much for the things we do but simply for being who we are in all our stages of life – an maybe especially in times of transition, uncertainty. The parting moment in the movie stirred all sorts of memories in me. The one I loved died suddenly without a word, without a glance in my direction; I came to the end of a job I had been doing for years and those with whom I had worked most closely let me leave without a word of acknowledgement. These are hard silences, even if useful for our development. Young people emerging into their own new identity need that identity to be recognized; people entering into retirement or old age also need their new identity to be acknowledged. Human beings need to be recognized, noticed, acknowledged for who they are and what their lives mean, that the experiences we have gone through have a meaning. This is not just a nicety of life – it is essential for our complete development. 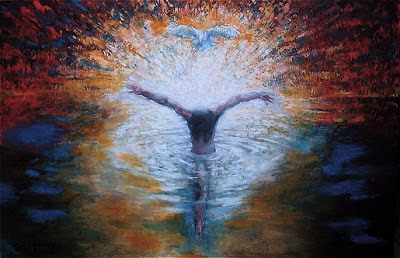 This is at the heart of the Christian life – that each one of us in Baptism is seen by God, approached by God, spoken to by God – “you are my Beloved”. 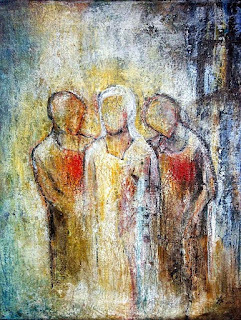 And part of our Baptism also is that we become the eyes and the mouth of God; that we represent Him and that we notice and acknowledge every human life. The Church, each baptized person cannot ignore one single life, cannot be indifferent to one single life, must cherish every single life from the moment of its conception up to the moment of its natural death. But there’s a feeling that we have become indifferent, lazy about life in many ways. Even when you look at how we have not reacted strongly to the austerity imposed by government on so many people. If we were Greeks or Spaniards we would passionately demonstrate but we have surrendered to what we are told is inevitable – the austerity and the unnecessary killing of the child in the womb. And ultimately we will allow our government to take the place of God, giving it control over life and death in a way that should not be given to any human power. Are we indifferent because maybe we don’t actually believe or hear God’s word that we are Beloved? Perhaps we don’t actually value our own lives so that it’s difficult for us to truly value the life of another. In the time of economic recession the lives of the poor have been defined in practise as being of lesser value and in the recession of the soul the life of the child in the womb is also being defined as being of lesser value. This is not of God.